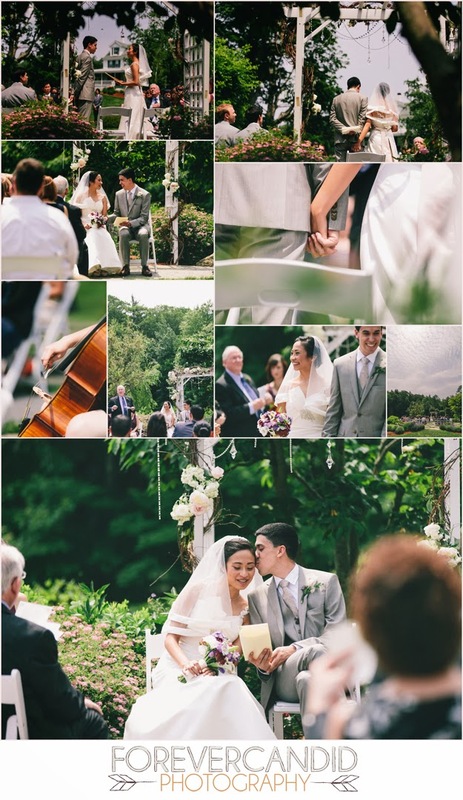 Brian + Sanae were married in June 2013 and not only did I love their venue choice, but I also appreciated all the thought and care they put into personalizing their wedding day and making it special for their guests! 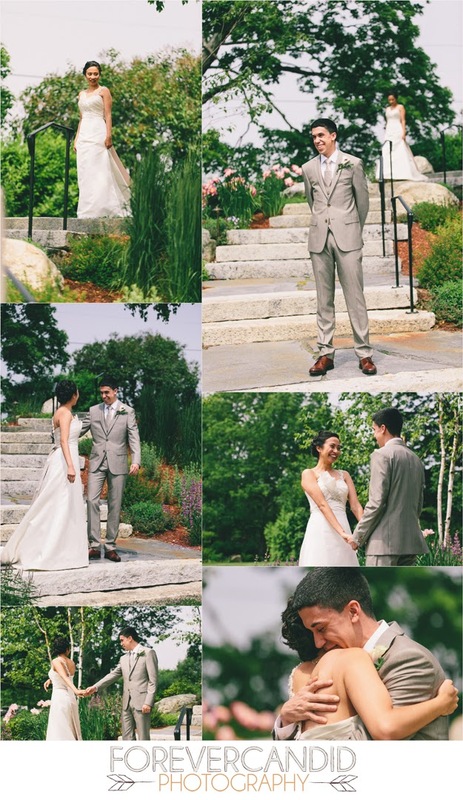 Forget about the 90 degree heat and blazing sun, it didn't matter, all eyes were on Brian + Sanae who were radiating with joy and love for each other!! 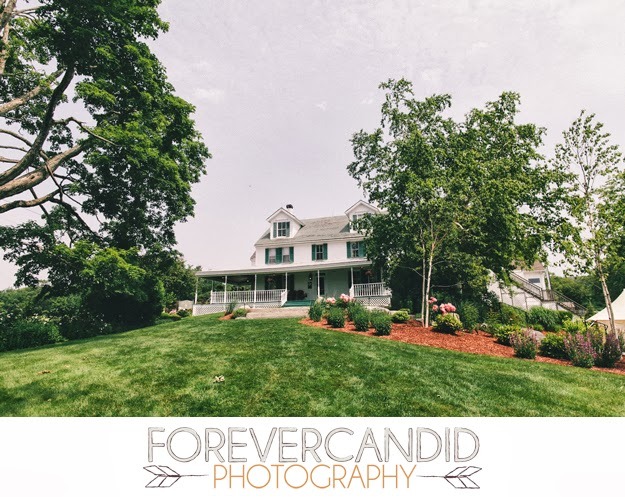 The bride + groom got ready in the Harrington Farm Inn -- where they were in separate rooms just about 100 feet from one another! The Inn is full of character throughout each room! 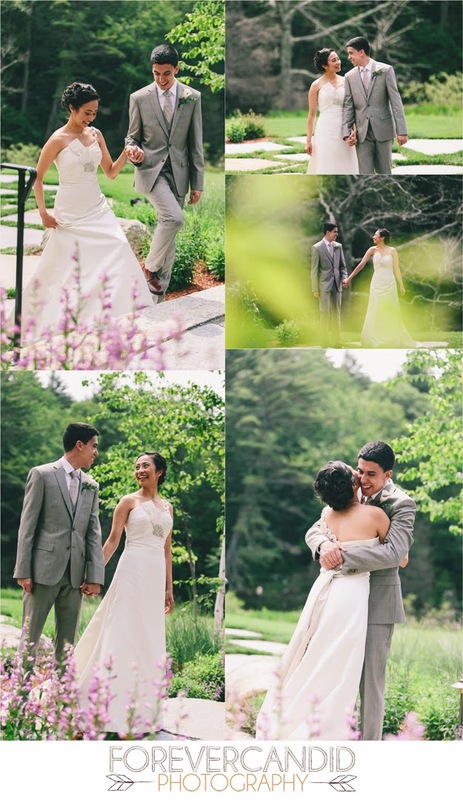 Brian + Sanae chose to do a First Look session. I love them all but the hug gives me goosebumps. So heartfelt and genuine!! 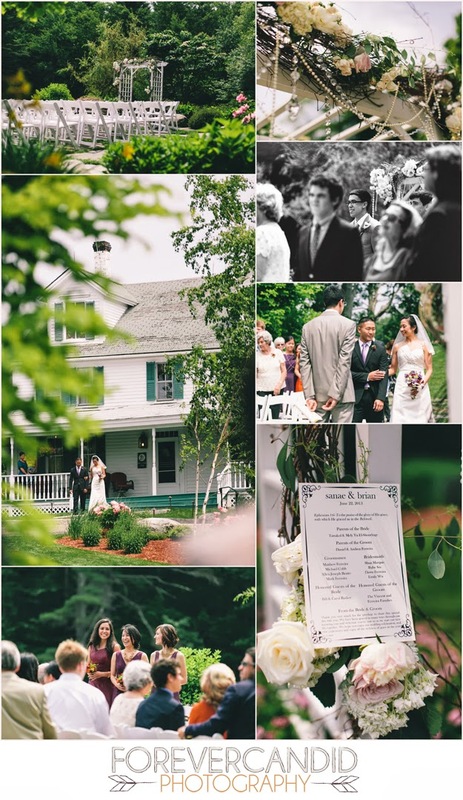 Straight from the Inn down to the garden ceremony. Flowers everywhere! So gorgeous!! 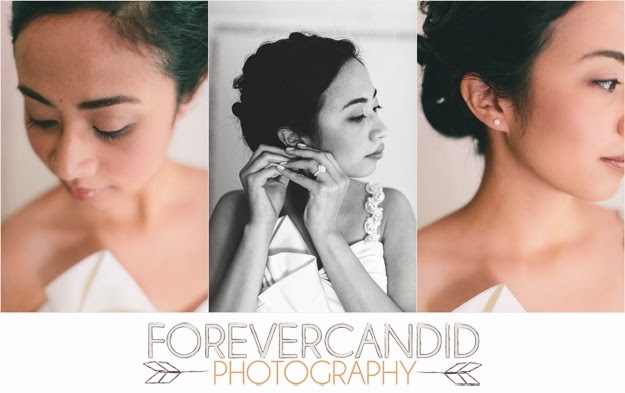 Amazing maid of honor alert! 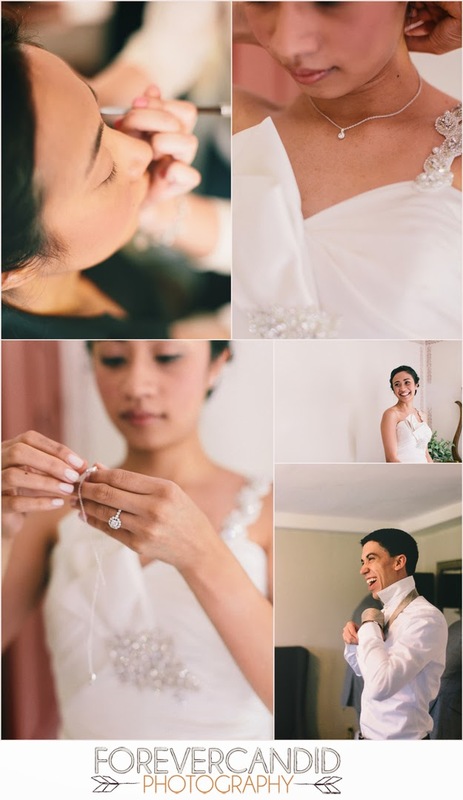 See that little spot inside the bride's veil? It's a bug! 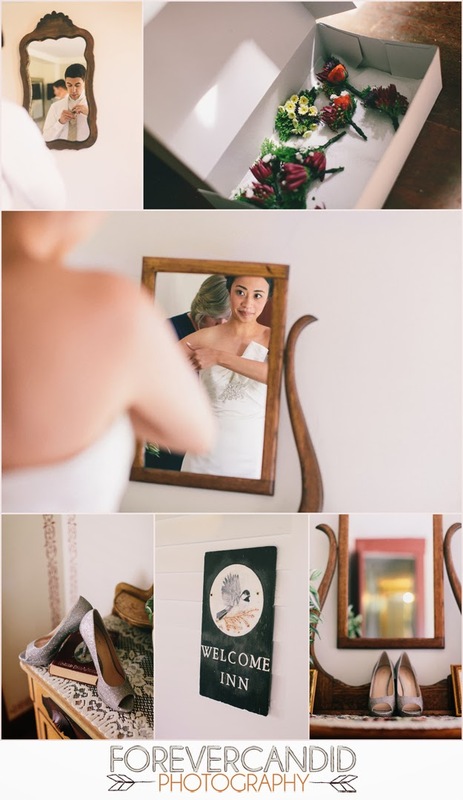 Notice the maid of honor's calm smile. 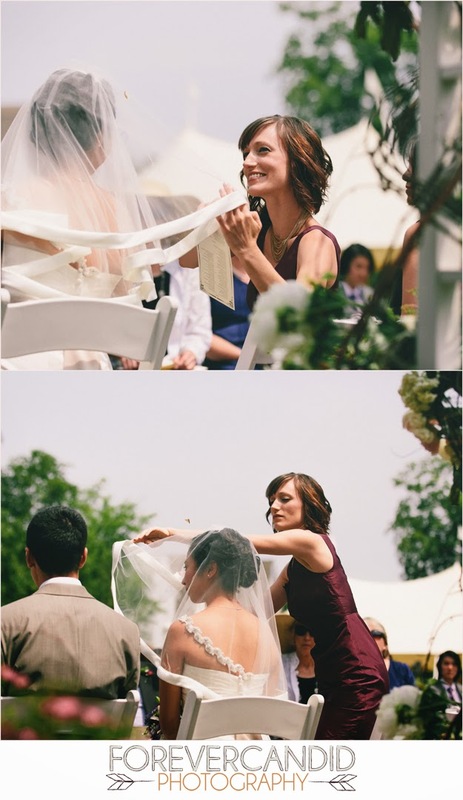 She then proceeds to life the veil and remove the bug all whilst the ceremony continues undisturbed. Great job! !